After a very busy Bluesfest, I am slowly recovering. During the last three days of Bluesfest, I volunteered a total of 16 hours and was lucky enough to see some amazing shows. 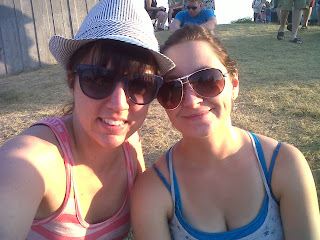 On Day 10, I headed to Lebreton Flats early to catch St-John's own Hey Rosetta! A good sized crowd was already gathered at the Claridge stage at 6pm to catch the show. They put on a great show, despite the intense heat. Before I headed to my volunteer shift that evening, I stopped by the River Stage to check out The Dirty Heads. I knew nothing about this group, but am I ever glad I checked them out. Their mix of reggae/ska mixed with rock/hip hop was contagious. Their music was light and very refreshing. By far my favourite discovery of this year's Bluesfest. Young the Giant ended the evening on the River stage, where I had the chance to watch the end of their set. A large crowd was gathered and there was lots of energy, both from the crowd and the performers. They ended their set with their very popular first single, "My Body" which had everyone on their feet, dancing. The next day was more focused on electronic music. This line-up attracted a much younger crowd. After my long volunteer shift, I checked out Diplo, a well-know American DJ and producer. He put on a great set, playing many popular songs. During his set, he was constantly interacting with the crowd, making sure they were having a good time. He even crowd surfed and walked in the crowd in a huge, inflated ball. Overall, the show had great energy and it was fun. I also had the opportunity to check out Beirut, Mastodon and Soul Jazz Orchestra briefly before heading out to see the main act with some friends. The evening ended with Skrillex on the main stage. This crowd was absolutely insane and was by far the largest crowd that I have seen at Bluesfest at this year. The show was pretty epic, with lights and lazers galore.The sound was really REALLY loud... maybe a bit too much. Although the show was fun, I decided to call it a night 30 minutes into Skrillex's set. Too many drunk/high/wasted 20 year olds squeezed into one place.A bit too uncomfortable for my liking. Skrillex at Bluesfest 2011. Image courtesy of Wikipedia. 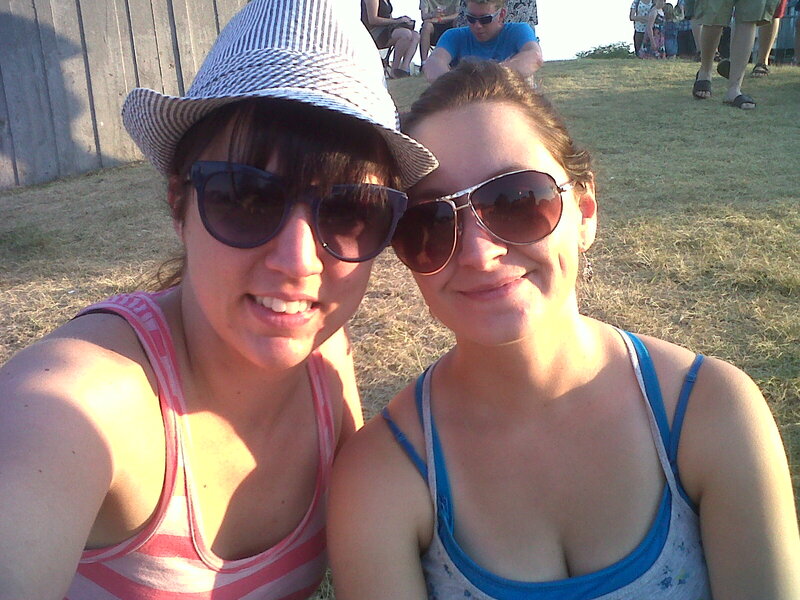 Finally, I was beyond excited about the very last day of Bluesfest. The line-up was the most appealing to me out of the whole festival. After another six hour volunteer shift, I headed to the River Stage to check out Wintersleep. Their appearance at Bluesfest is replacing their scheduled show at Ottawa Folk Festival next September, so it was crucial that I check it out. The show was great and the small intimate crowd seemed quite pleased, as they should've. Since discovering his music, I have been obsessed with the Weeknd. I was thrilled when I heard he was playing at this year's Bluesfest. A good crowd gathered at the Claridge stage, waiting for Abel Tesfaye to begin his set. I was very impressed with the turnout. The Weeknd began his set with "High for This", one of his best songs (in my opinion). His setlist also included tracks like "Lonely Star", "Rolling Stone", "Life of the Party", my favourite Weekdn track "The Knowing" and finally, his last song was "Wicked Games". Overall, his show was fantastic. The crowd was great. Julie = a very happy girl! Last but definitely not least, my favourite band in the entire planet took over the main stage: Metric. Although Metric has been playing Bluesfest every year for a long time, this was the first time that Metric was headlining. Although I have seen Metric live probably 7 or 8 times at this point, I was beyond excited for this particular show, seeing as their new album "Synthetica" came out about a month ago. I really enjoy the album, therefore I was really looking forward to hearing it live. Emily Haines of Metric at Bluesfest 2010. Well, the show did not disappoint! Right off the bat, Metric played the first three tracks of "Synthetica" back to back, then "Dreams so Real". In all honesty, if you were at the show and you hadn't listened to their new album yet, you probably didn't know any of the songs that they played in the first 30 minutes of the set. However, near the end, they began playing more well-known songs, including "Help, I'm Alive", "Gold Guns Girls", "Dead Disco", "Empty" and my favourite "Stadium Love". Their encore featured the hit "Monster Hospital" and a raw, acoustic version of "Gimme Sympathy", which was beautiful and it ended the show on a high note.